New research has shown British homeowners response to smart meters as luke-warm at best. Fewer than half of the households participating in the Government backed study said they would want an energy smart meter, a major blow to its plans to have every home installed with one by 2020: A move which will cost a whopping £11bn to implement. In the Smart Meter Central Delivery Body (SMCDB) research of 10,000 homeowners, 84% of participants said they had heard of smart meters, but only 44% said they would actually be interested in installing one in their own home. Somewhat of a kick in the teeth for the body, as it is actually the group's purpose to drive support of smart meter implementation across the UK. 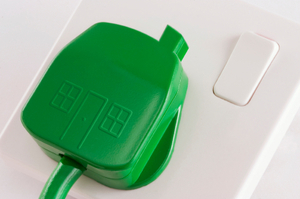 The Government roll-out is not mandatory, so while energy suppliers are obliged to try to install the devices in their customers' homes, the homeowners can refuse them if they so choose. Such a response is not what the Government would have wanted with 50 million of the devices to potentially install by 2020 however. The SMCDB research also found more than half of those surveyed did not trust energy companies in general. SMCDB chief executive, Sacha Deshmukh, remained confident the public would warm to smart meters as, although many might not fully trust their energy firm, they do trust individual engineers. He also believes smart meters will counter many of the reasons for customers distrust in their energy provider, such as inaccurate bills and energy readings. He said: "Antiquated systems for recording energy use and managing billing are no longer fit for purpose. Households need to be able to take control of their energy use and bills. "For this to happen, the national smart meter roll-out is the essential transformation of the technology we use to buy energy. It will create newly empowered consumers, and increase trust in those who sell us gas and electricity."